The Dominus™ Valve Manifold Box (VMB) provides safe and reliable distribution points for a gas system. The VMB can include up to eight individual sticks distributing gas from a single supply line. An optional integrated vacuum generator and N2 purge provide a safe and effective means of purging the lines for service. The VMB system can be configured for a fully automatic system, a semi-automatic system or a fully manual system with ESO capability. 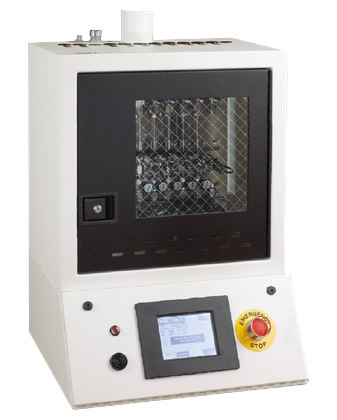 The Valve Manifold Box system is configured in either a panel VMP (for inert gases), or a cabinet (for systems that require exhaust capabilities). The system controller varies depending on the need for automation and factory communications. The family of controllers includes manual push-button operations as an economic option for simpler systems, a semi-automatic operation that maintains the safety functions of the automatic with minimal shutdown capabilities and fully automatic distribution venting and purge functions. The automatic systems can be selected as up to 4- or 8-stick standard configurations. All VMBs are available with a double-isolation configuration for all of the process valves. 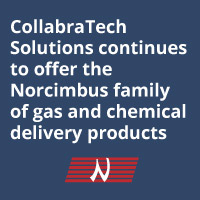 Contact CollabraTech for assistance in developing a system to meet your process needs.